A dwindling number of veterans are commemorating the 70th anniversary of the D-Day landings of World War II. Police arrest a suspect in the shootings in Canada. A student pins down a gunman at a Seattle university. And we have the scoop on Hillary Clinton's latest book. It's Friday, and here are the “5 Things to Know for Your New Day." Suspect arrested: A gunman who killed three police officers and wounded two others in Canada is in custody, authorities said today. Police arrested Justin Bourque, 24, after more than a day on the run. Authorities said the suspect, dressed in fatigues and armed with a rifle, went on a rampage Wednesday in Moncton, New Brunswick. They had him sprawled on my front lawn for some time and then loaded him into the swat vehicle. They are now checking my yard for firearms. Gunman subdued: In yet another incident of senseless violence, a gunman entered the science and engineering building at Seattle Pacific University, shot three people and was reloading a shotgun when a student pinned him down, authorities said. One person was killed and two wounded. Book leaked: What's in it? President Obama, Bowe Bergdahl, Chelsea Clinton and more. CBS obtained a copy of Hillary Clinton's upcoming book, "Hard Choices." It dishes on the 2008 campaign and her role in planning her daughter's 2010 wedding, among other topics. Escape attempts: Bowe Bergdahl may have tried to escape his captors on at least two occasions, a U.S. official tells CNN. But no one will know for sure until the Army talks to him directly. Bergdahl is recovering after being held captive by the Taliban for five years, and is addressing his medical staff in English, the Pentagon says. 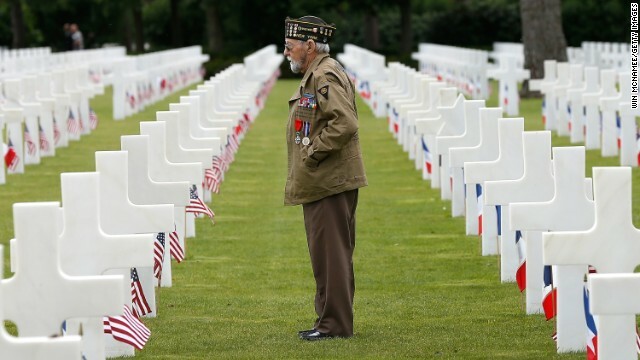 70 years later: A dwindling number of veterans are commemorating the 70th anniversary of the D-Day landings of World War II. Jim "Pee Wee" Martin parachuted yesterday from a plane into a French field, the same area he landed 70 years ago. Only that this time, he was 93. And there was no one shooting at him. Bleats of fun: Forget the running of the bulls. The running of the goats is way more fun! Grandma's got the moves: Paddy Jones sure can shimmy. And the fact that she's shimmering in sequins is a bonus. Aww, shucks: This adorable miniature horse seems smitten with a dog. And we're smitten with both of them. The three Ds: Daddy, daughter and duet. Enuf said. Play date: Dogs and balloons. What's not to love? The father-daughter duet was too cute! And the dogs playing with the balloon put a smile on my face...thank you! I love 5 things. Best way to start your morning! Awe, thanks so much, Jay!